We ship decorative globes to any city in the World. Glowing globes are an unusual for Noxton Company product. The peculiarity lies in the fact that you can't consider the self-luminous globe only as a kind of souvenirs since it is a learning and educational object first of all. It's neither a toy nor a scientific model. However, by using the Glow in the Dark Globe, you can instill your child interest in geography. What is more you can be using the luminescent globe as an educational toy for smaller kids (by that we mean a physical globe and learning the continents and oceans) and for teens (meaning a political glow in the dark globe to learn countries and cities of the World). It is a proven fact that the best way for your kid to explore the world is through a game. Perhaps out light-accumulative sphere will help you to arouse your child interest in geography as well as in natural sciences in common. 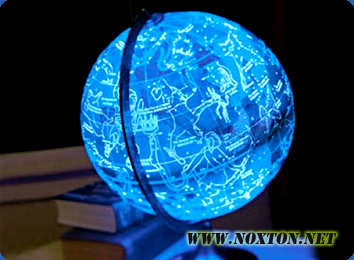 Luminescent globe is an interesting and unusual souvenir that will find its place on a desk of any successful man. It is something unique, not corny, fresh and useful. Given as a gift light-emitting globe will become an excellent addition to the «trappings of power» on your boss desk. Especially since you can buy an ordinary globe in any store, but you have to spend some effort and time to find a luminous globe. And have no doubt – your effort will be appreciated. That kind of souvenir goes well with Glow in the Dark Watches that can tell you the exact time in a complete darkness. Cool fridge magnets and unusual luminous polish would complement and extend the interior design and room decor opportunities. Composition: Glow powder is being applied to the surface of a standard globe. Luminescent globes purpose: Used when playing learning and educational geography related games with kids. It can also become as a unique souvenir or a gift. Properties: Luminous coating is able to glow in the dark with no help of extra sources of light. Total glow duration in case of one charging cycle is 6 hours (cycle is a change of a continuous light accumulation phase to a continuous light emission phase). The bright phase lasts 60 minutes. Recommendations: Find the most lighted during the day place for your glowing globe – so you won't need to worry about extra light sources: charge and luminescence cycles will be changing each other with no further action on your part. Safety: Product is totally harmless to humans and is nontoxic, nonradioactive and hypoallergenic. Storage and use of the globe: No special recommendations on storage and use. Available sizes: Any desirable sizes - huge and small. «Performance» of the luminous coating won't go away with time. That means the luminescent globe will follow your kid through school and college. During the first minutes after turning off the light the glow intensity of current decorative attribute is so high that you will be able to clearly see the inscriptions on it. Noxton Company is able to either completely cover the globe (the Earth model itself) with a light-generative coating or to make a contouring of certain parts and countries of the World. During the day the product cannot be distinguished by its appearance from the ordinary one. Noxton Tech, a rightful leader in the field of glowing paint production, informs its customers that you can even make a light generative globe yourself at home. In order to do that, just buy an ordinary globe you like and cover it with a luminescent paint for interior. Application can be done using a brush or a sprayer. 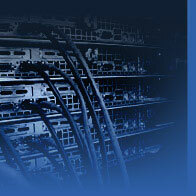 We will provide you with detailed instructions. Start your own business from a scratch with Noxton Company today. There is only one exclusive representative in each region! To buy a Glow in the Dark Globe, please proceed to "Contact Us" page.